The exchange rate of the hryvnia, which should be set by the National Bank of Ukraine, is in fact being dictated by currency speculators. Former Ukrainian finance minister and an MP candidate from the Bloc of Poroshenko Viktor Pynzenyk has told Ukrainian television’s 112 Ukraine channel. Pynzenyk said he believes that the conflict in Ukraine's east is not the main reason for the collapse of the hryvnia, but that this is rather the product of several factors. "There is excess demand for dollars on the Ukrainian market. There is excess liquidity at the commercial banks and an excess of hryvnias on their accounts. This is the product of the work of the government and the National Bank of Ukraine. Most of the deficit is financed by the central bank of Ukraine. There is no direct funding, everything is legal, but the investment of the NBU is about UAH 10 billion every month," he said. "If the demand for dollars isn’t brought under control, the hryvnia exchange rate will go into a fever," Pynzenyk said. "[Control of] the rate should not be given to speculators, but now we have a situation in which they dictate it… The currency interventions of the NBU have not helped." 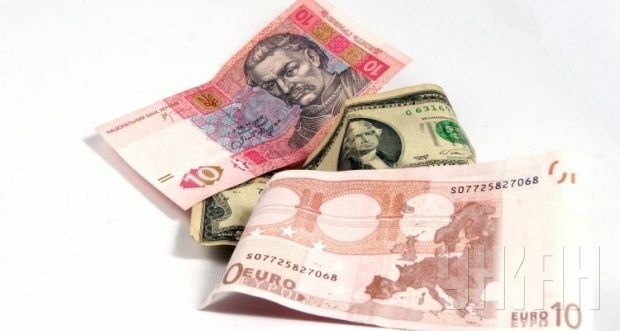 Pynzenyk said he was convinced that if the NBU took control of the hryvnia exchange rate and stuck to a proper policy of intervention, there would be no significant fluctuations of the hryvnia exchange rate. "But I hear no signals motivating or defining a policy. The administrative measures taken by the NBU, on the contrary, have caused most turnover to go into the shadows."